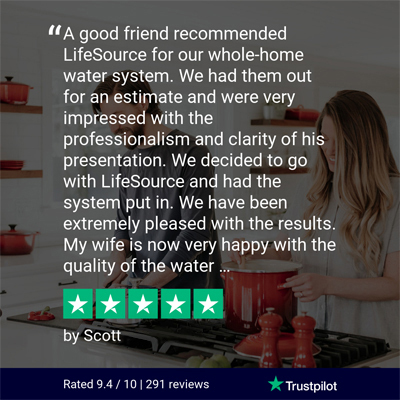 Our customers love their LifeSource Water and so will you! Congratulations to Larry. You have won a customer care package from LifeSource Water that includes water bottles, a squeegee and cleaning products to help keep your appliances glistening! Would you like to be featured in our newsletter or on social media? Make sure to fill out LifeSource surveys, and you could be next! We are very happy with our Life Source Water. Our installer did a great job! 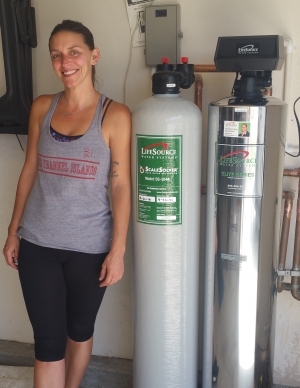 I cannot stretch enough how satisfied we are with our LifeSource System. The water is perfect, no smell, tastes good. Every Friday evening we meet at our neighbor’s house for pizza. They serve water, but it is still the normal tab water. It tastes awful to us, since we are now used to the good water. We cannot drink it. When the pizza evening is at our house, everybody wants to drink our water. They like it even better than beer or wine. (I am joking). Since we have the system, we are drinking more water than we did before, which is much better for our health. You should advertise in Health Magazines. I am sure that drinking more water than beer, wine or soft drinks will lower your cholesterol level. We love the this system and our water now. It tastes very good. Our dishes come out sparkling clean. I've noticed that if we get water spots they clean up so easy. Even on my car, spots just wipe off, the guys at the car wash were shocked. We never wanted to drink water from our tap...but we tried a glass right after installation and we liked the taste. AND then a week after install, we saw a difference with the children and their skin, not being itchy, irritated. What a wonderful side benefit. We chose LifeSource because of the salt softner we had. It was such a problem, lifting the bags of salt and we've had enough of the softened water killing the garden. We used to have to take a stick and hammer to the softner to break up the salt and enough Is enough. We are very happy not to have to do that any longer and we now have good clean water in our entire home. 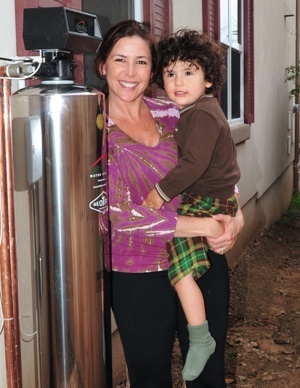 I am very pleased with the entire process as well as how easy it was to purchase and have the system installed. 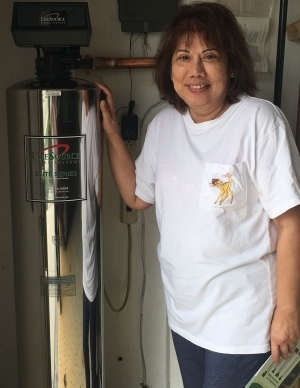 The installation went off without a hitch and removing the old water softener and the RO system made the entire process very good for me. 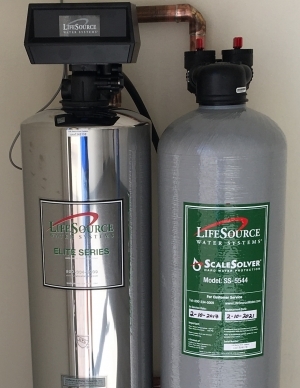 We love our LifeSource Water system because it allows us to have convenience knowing water is clean for our health and to protect our home, products, and bodies. Thank you so much. 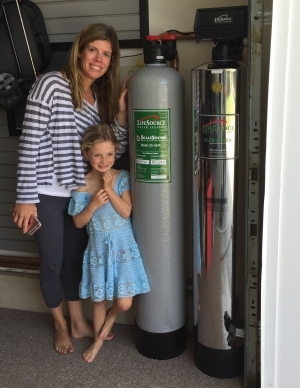 My wife and I wanted a whole house non-salt water filtration system. 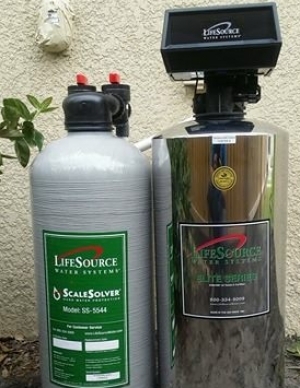 After research other brands on the on the market, we selected the LifeSource System. We love the taste of the drinking water at all faucets and taking a bath or shower without having the slimy feeling that comes with a salt water system. 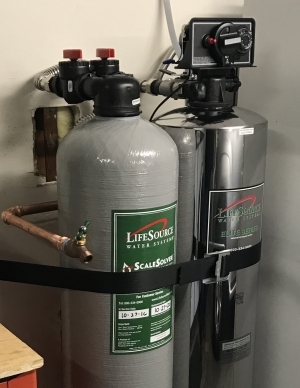 We were very pleased working with Rob Tucker sales manager with LifeSource he was very professional, there was no high pressure sales and he has a lot of product knowledge. 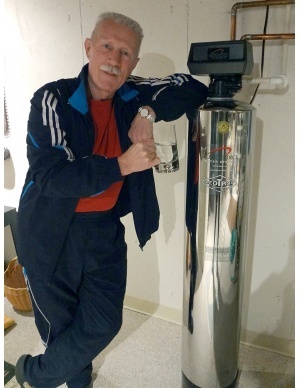 We love our new system and love to show LifeSource System to all friends. 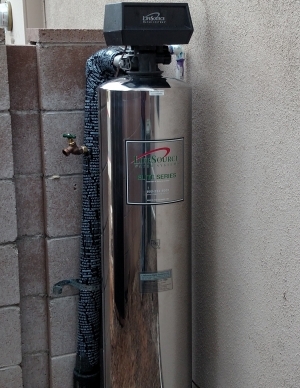 Since the installation of the water system, we have been able to drink the water which we didn't do before. I'm going to share a story that occured last week: Last friday, my husband and I were running some errands and decided to have lunch at a local restaurant before returning home. As my drink, I ordered water no ice. They brought the water and I proceeded to drink it. As I took one small drink I tasted its unsavory flavor. Immediately, my mind thought of the taste we now have at home because of LifeSource. That small drink truly made me appreciate the water we have. I have also noticed the difference on the water faucet which used to be tan from the calcium being deposited on any item faucet, pans, plates, glasses, cups and the sink itself. Now I can clean the faucet and it stays shiny. When I boil eggs in a saucepan the inside of the pan and used to get riveted with rings of calcium around it. Now that has stopped and I see a normal pan without any rings of calcium. This is just wonderful water! 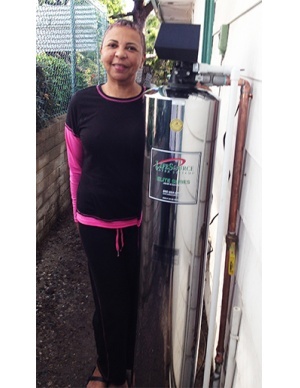 We have very much enjoyed having our new LifeSource water system. Being able to have skin that is not tight and itchy is such a relief. The women in our house love having hair that is super soft, yet doesn’t lie flat and limp. It makes getting ready in the morning a breeze rather than a chore. We’ve already noticed a difference in cleaning, too. We have no more calcium build-up, and the build-up that we already had is dwindling quickly. Everything is starting to look like new again in the kitchen and bathrooms! The taste of the water from the LifeSource system was somewhat of a surprise, though. After 10 plus years of drinking bottled and Reverse Osmosis water, I thought it would take me a while to get used to another new taste…it did not. This is wonderful tasting water! Even the ice that it makes it great! I never used the ice cubes that were made from the RO water because I couldn’t stand the aftertaste, but I use the ice cubes made from the LifeSource water all the time now. This is just wonderful water! 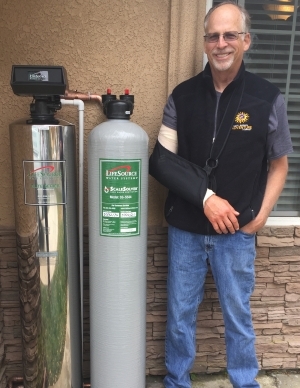 I am so very glad that we chose to go with the LifeSource system! Our LifesSource experience was wonderful! 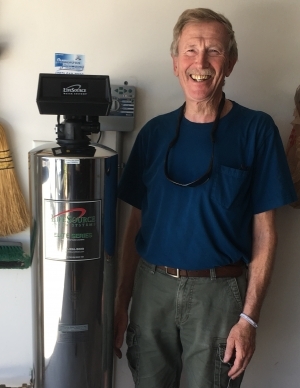 Their technicians were on time, performed a careful installation, and we now have clean water without needing a salt tank! Thank you! 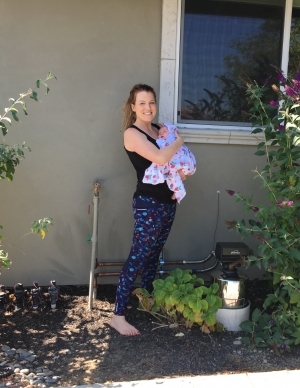 "Life is not about waiting for the storms to pass... it's about learning to dance in the rain"
My daughter recommended that I call LifeSource because I wanted a system that didn't have me lifting 40lb bags of salt every month. I'm turning 65 this year and you can't just call your friends up to help you out with that at my age cause they're old just like you! Culligan use to charge me $60-$80 extra a month to come out and refill their systems with salt but I had to stop that immediately because that adds up. I really enjoy my system. It doesn't have the soft water feel when you shower but it's definitely healthier not showering with salt. 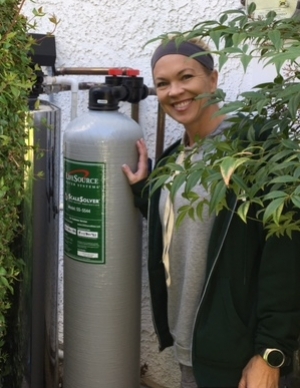 I'm from New York and since moving to California I've always had a water softener in my life. The biggest change is with my drinking water which is much better, I especially notice it with my tea. 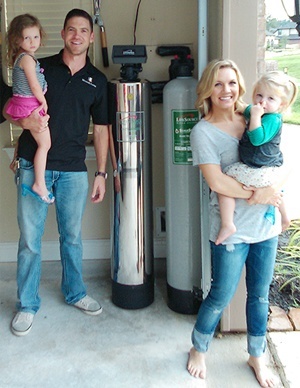 We wanted to let you know that WE ALL LOVE our new LifeSource Water System at our new-to-us home. I had one just like this at a previous home in Gilbert, AZ and moved it with me to a home in Chandler, AZ. The System was amazing…never needed any maintenance. I only occasionally adjusted the BackFlush timer. It is still going strong some 15 years or so later. We are VERY HAPPY with Our New Water System. I do highly recommend the System to anyone who is interested. Clean Water is very important to one’s health, now more than ever. We've been using the Elite ScaleSolver PowerPac for little over six (6) weeks now. System is running smoothly. Water feels and taste great. We were at first skeptical about drinking from the tap but were pleasantly surprised by the quality of the water. 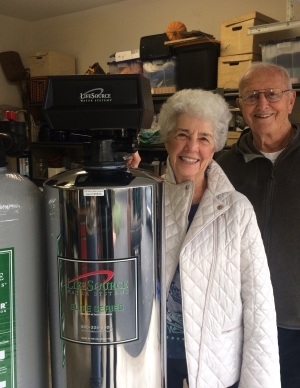 We are no longer making trips to the market to refill our water containers! I was spoiled on a recent cruise by the soft water. My skin and hair improve d and I could drink the tap water. When I got home the first thing I did was shop for groceries. When I got to the bottled water I had an epiphany, why a m I paying for water which is: too heavy to load and unload, plastic is bad for the environment, and is an extra expense. 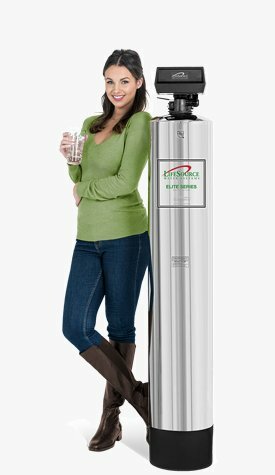 I started researching water softener systems. Yours stood out as the best choice because it's user friendly, you buy the system instead of paying a monthly fee, and no added salt. Since installation my hair and skin feel younger and smoother, I drink tap water (yummy), my clothes look cleaner, and no water spots in the sink. Adding the Life Source System was brilliant idea. 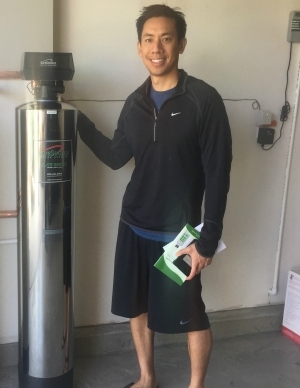 My name’s Eric Toda; I live here in Lafayette, CA and I’ve had LifeSource for about a little under a month now and we absolutely love it. The biggest thing is my wife is happy! She finds it massively different now. Now that the water is clean, the water doesn’t have chlorine, and she can’t say enough about it. So I’m really happy with LifeSource and I highly recommend it. Love our water. 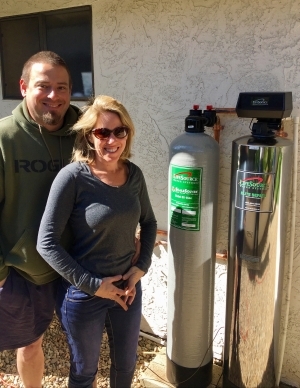 New house – we went to the Phoenix home show to investigate water – whole house systems. 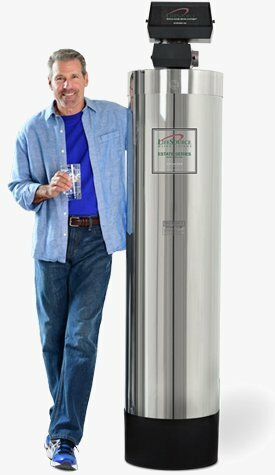 Seen at least 5 systems from 10,000 to as little as 1,500 with a life time warranty. Taste of water and environmental concerns along with online reviews sent us to LifeSource. Amazing water! It tastes great, the ice is amazing – still trying to get used to drinking water straight from the fridge. The first experience was the ice in our martini. No white sludge in the bottom of the glass and the pure taste of the gin was not tainted by bad ice. Showers are amazing – I don’t want to leave the shower. Clothes in the washer are whiter and the dishes from the dishwasher are spotless. 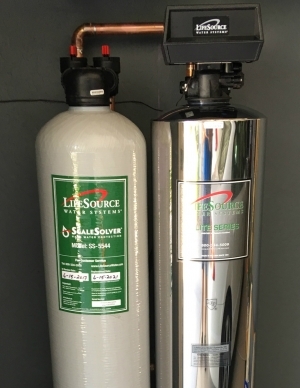 Thank you LifeSource – we took a leap of faith and you system is worth every cent. I live in Moraga and we have LifeSource. We’ve had LifeSource Water for a couple of months and it’s been great. We got it mainly because now with young babies, we’re extra concerned about what we’re putting into our body. And we love our water, it tastes great. Feel a lot safer now, using that every day. Thank you for making a great product! 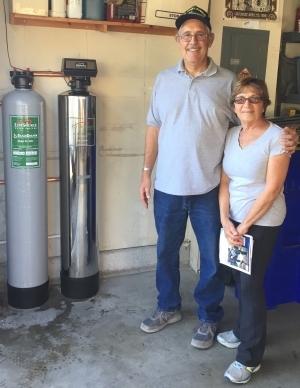 Loree and I again thank LifeSource Water Systems for serving our recent need to install a new system in our newly constructed home in Temecula, CA. 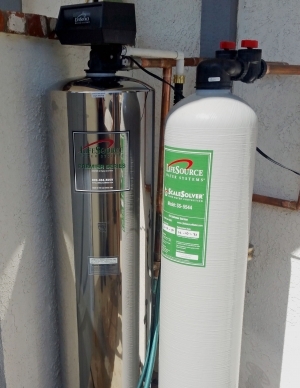 As your records show, we have been a long time user of LifeSource Water Systems dating back to the 1980 timeframe when we first installed a whole house water system in our Pasadena, CA home. We remember well the much improved the taste of the water, the lack of chlorine smell during hot showers and, of course, enjoyed the comfort of a whole house water filter. 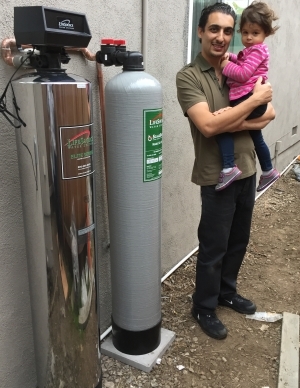 While at our Pasadena home through 2016, we actually had a second filter tank (replaced the initially supplied tank) installed for our peace of mind although it was most likely not necessary to do so as the water qualify had not changed. 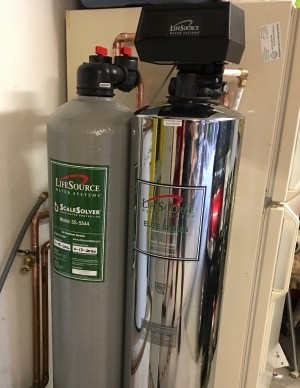 We enjoyed the LifeSource filtered water without having to use a salt system to soften the water and find it more comfortable than the salt systems as there is no maintenance required with the LifeSource WaterSystems and we didn't have to run a lot of water to remove soap film from our skin after showering/bathing. 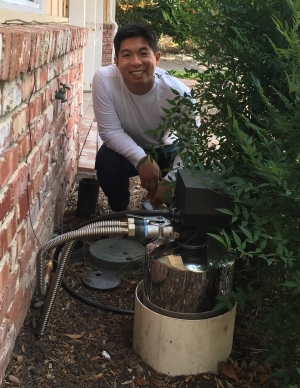 And the system timed filter backwashing that occurs automatically with LifeSource conserves water as we directed the backwash water to our garden plants rather than the sewer or street. 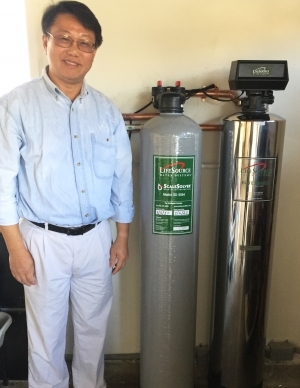 Our new home in Temecula is now filtered with the latest 2017 version LIfeSource Water Systems' dual filtration system; the second filter being used to prevent over 90 percent of the minerals that cause calcium buildup. The main filter now has a sediment filter as well, so technological improvements have been added over the years for the user's benefit. In addition, LifeSource service, when rarely needed, has been excellenet! We have needed only one service call in our user lifetime for a minor timing motor replacement. So we surely have confidence in the durability of the system. And installation as part of our order was professional and clean. Once installed, it is basically a product you can forget. It just keeps serving up clean, clear and excellent tasting water. 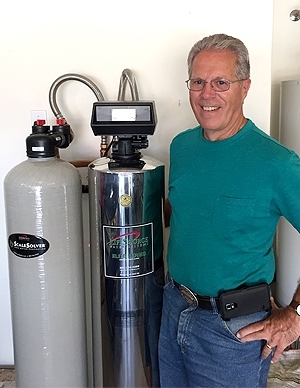 Our words may sound like a commercial for LifeSource Water Systems but this is not the case. Your potential customers are welcome to substantiate our comments/claims by contacting us via your office. However, in this day of social media, potential customers should be able to build confidence reading other user comments as well. 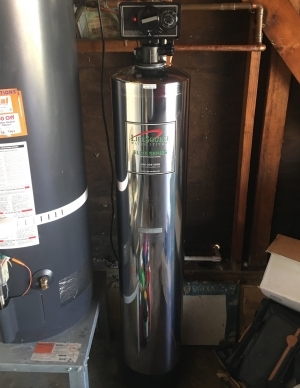 Better yet, the potential customer should simply become a customer .There are no filters to purchase and change so the cost of operation is what you pay for the installed system. As stated herein, just install the system and forget it. We have noticed a difference in the cleanliness of our sinks, toilets and showers after just a couple of weeks. That is why we love our LifeSource water. What I like about the system is the good tasting water, making the water such that soap works better and my faucets are clean from mineral deposits. I would definitely recommend, and have recommended your system to my friends. I love being able to drink water that tastes good. San Diego has about the worst tasting water and LifeSource has been a great contributor to being able to drink sink water. Plus I don't have to buy bottles anymore. We are happy and very satisfied with my old unit and when it was time to replaced it ,even it was an unexpected expenses, I need to replaced it right away. Even our friends who sometimes stayed with us stated that our water felt different. Felt so soft and clean, fresh smell of the water and soft on their hair as well. No lime deposits on my sink, faucets, shower heads/glass shower door and toilet bowls. We do recommend it to our friends and co workers. All the staff that assisted us with our new unit installed are very professional, respectful and on time with the scheduled set for us. Thank you. Very happy with our LifeSource! 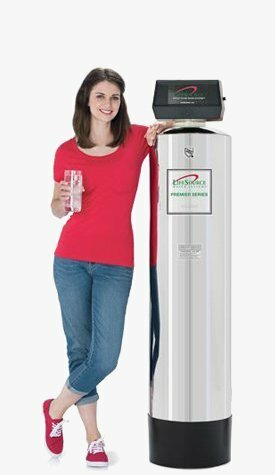 I wanted you to let you know why I love my Lifesource Water System already. The cleaner feeling coming out of the shower is fantastic, being able to drink water from any tap in the house, and knowing I won't have to ever worry about any hard-water damage to my appliances is very re-assuring. I'm sure as I go on with the system I will be able to appreciate it more and more. Some of our well know customers. Every faucet in your home can provide clean, refreshing water for less than you think. 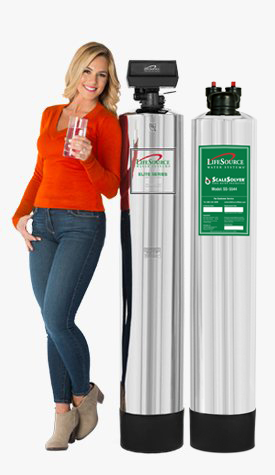 Learn How LifeSource Water Works. 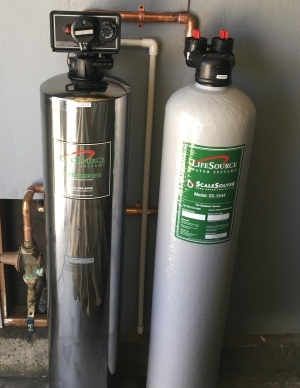 LifeSource Water Systems factory installation makes installing a new system easy and convenient. 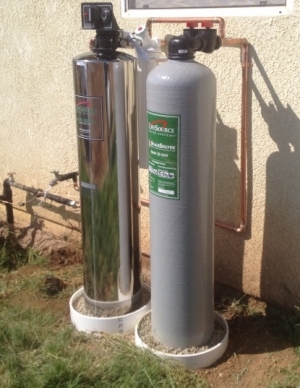 More about water system installation. 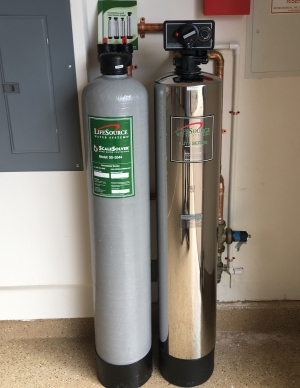 Let a Water Specialist Help You!